Immy Howard on Costume & Performance design created Flower Bed for a charity auction at 60 Million Postcards. I have recently contributed this piece to an exhibition and charity auction entitled ‘Skin’ at 60 Million Postcards. The theme of the exhibition was self and body confidence, with donations for the art going towards Mind charity, who offer a lot of support for Body Dysmorphic Disorder. 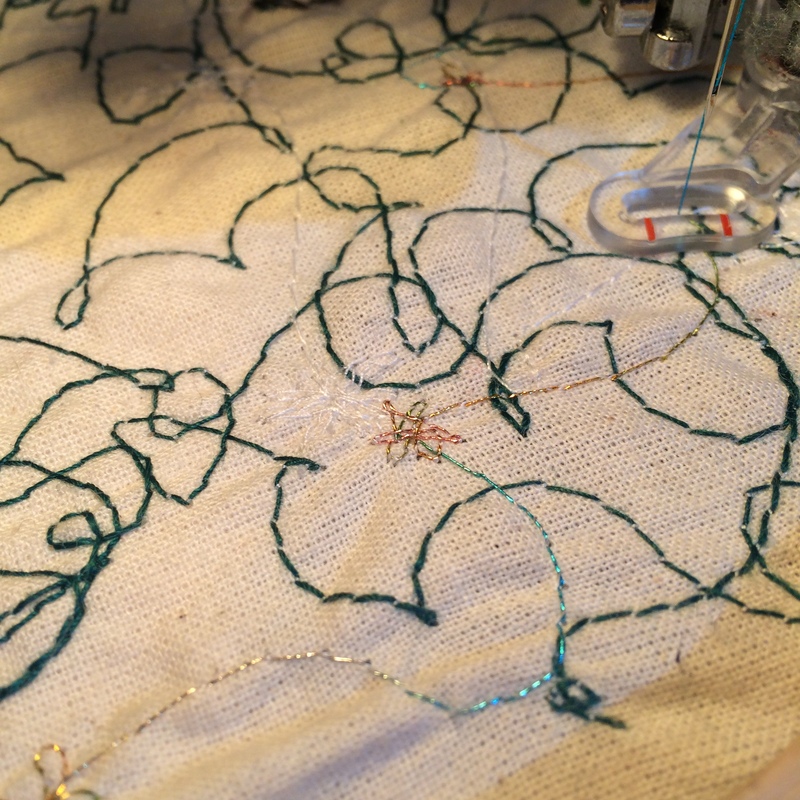 ‘Flower bed’ is a large, free machine embroidered daisy chain, meant to symbolise friendship and togetherness. 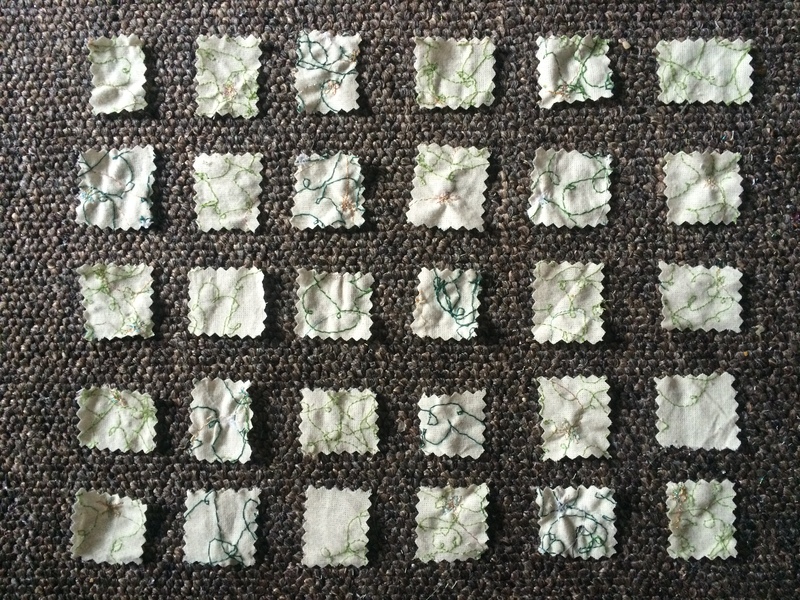 Once sewn, I then proceeded to cut up the piece into small squares that people attending the exhibition could take, in exchange for a small donation towards the charity. Daisy chains are often made as a childhood past time and as friendship bracelets. I thought that the larger chain could reflect this and bring about a connection between the people who chose to have a piece of it, as they would all be sharing in the same art work together. I hoped to reinforce the idea that we are all connected and that there are people out there to talk to wherever you are, even if they start off as a stranger at first.